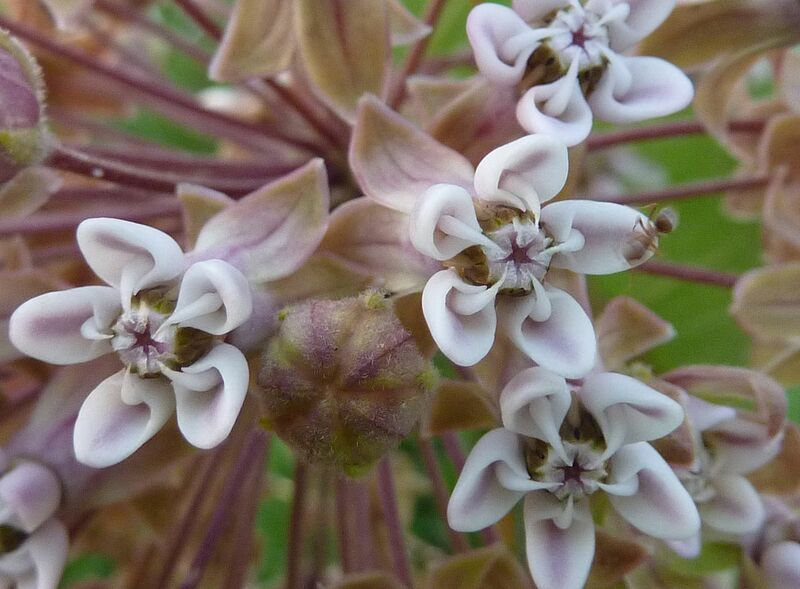 Asclepias syriaca, Common Milkweed, is a well know menace among farmers. A single plant quickly sends up root suckers in an ever increasing network of roots. The air born seeds allow them to spread around quickly too. Personally I've grown this species for the past 4 years and I've found it to be fairly tame. Granted it's not getting a whole lot of sun but enough to call it full sun. It's in heavy clay that doesn't drain very well. So it's not imposable to grow it in a garden. 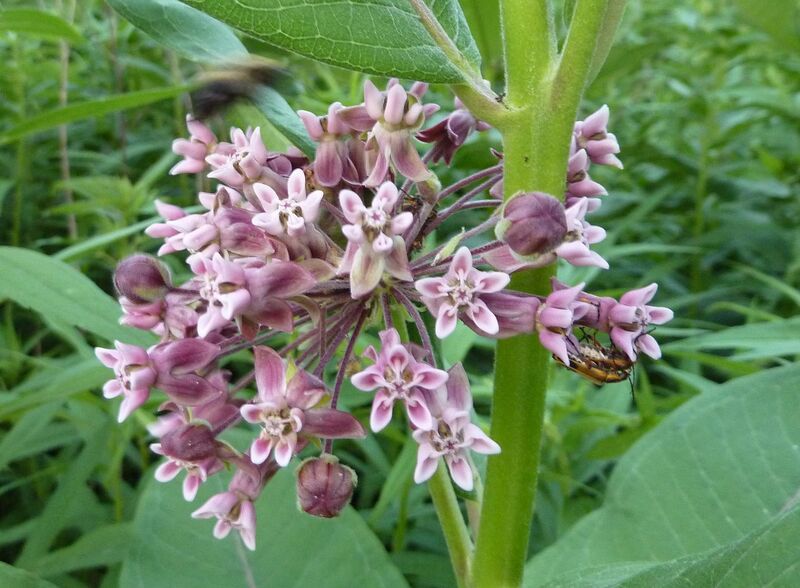 Asclepias tuberosa (seen above), and Asclepias incarnata are more garden friendly though. A. incarnata is fragrant too which a lot of people don't know about! Whenever the flowers are in the sun they smell like a generic desert, reminiscent of fresh cup cakes out of the oven. 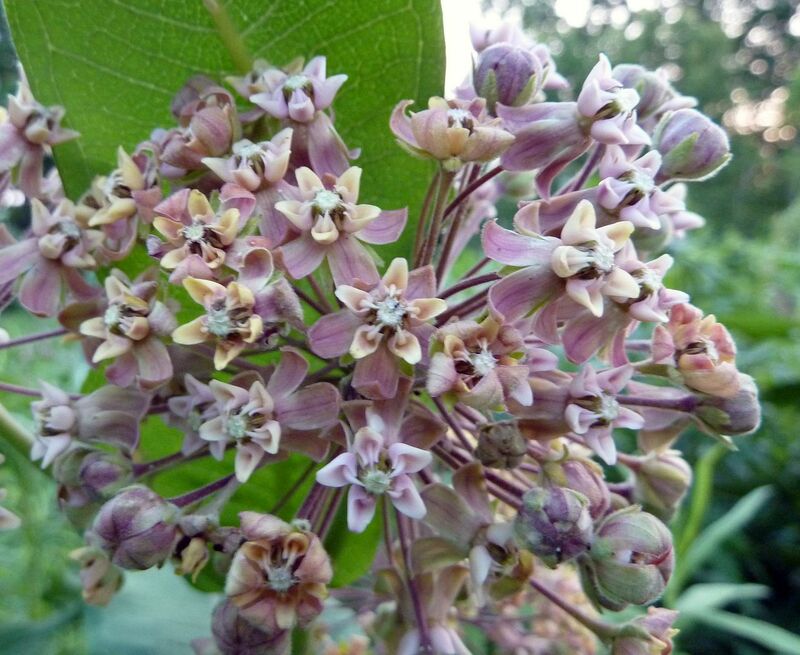 Common Milkweed flowers come in a lot of shades, partly depending on the age of the flower. Here are some deep purple ones. Almond and Cream colored. There were lots of ants stealing nectar from the flowers. 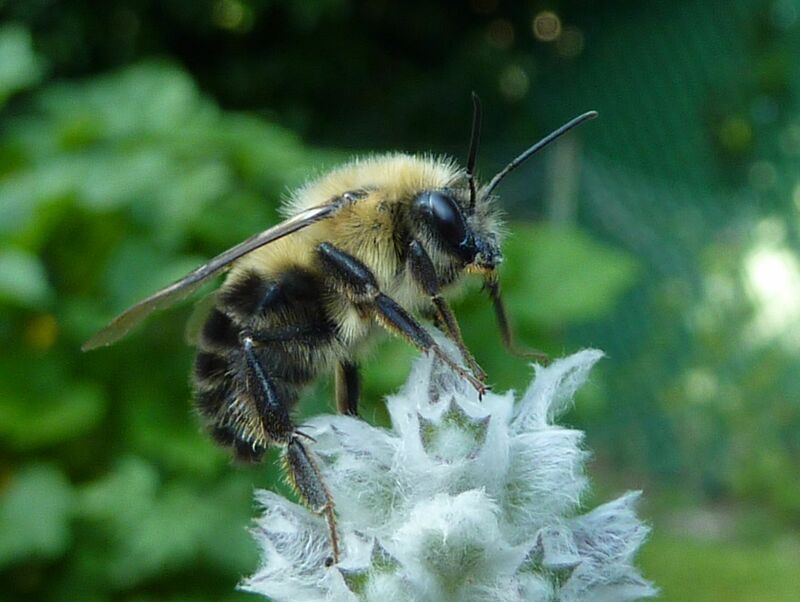 As well as bees and beetles pollinating them legitimately. One plant I noticed had some clusters as this solid white color, as well as the deep purple, which was odd because the clusters were so close to one another. 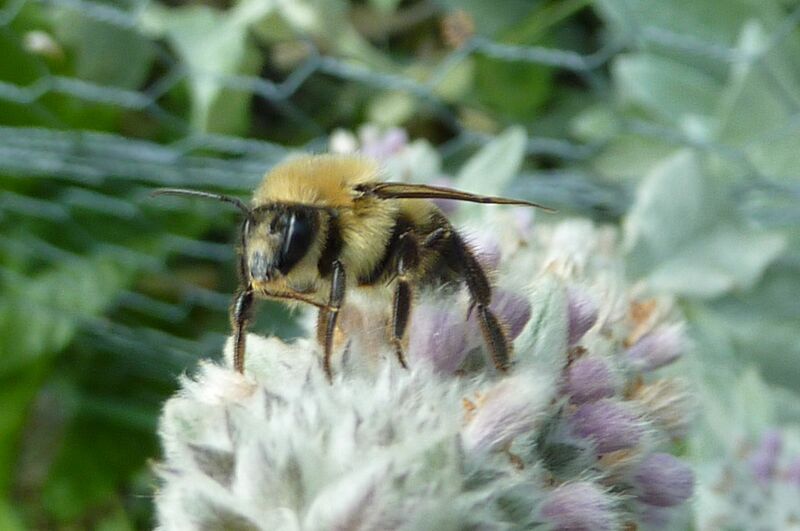 A bumblebee ready for pollination. 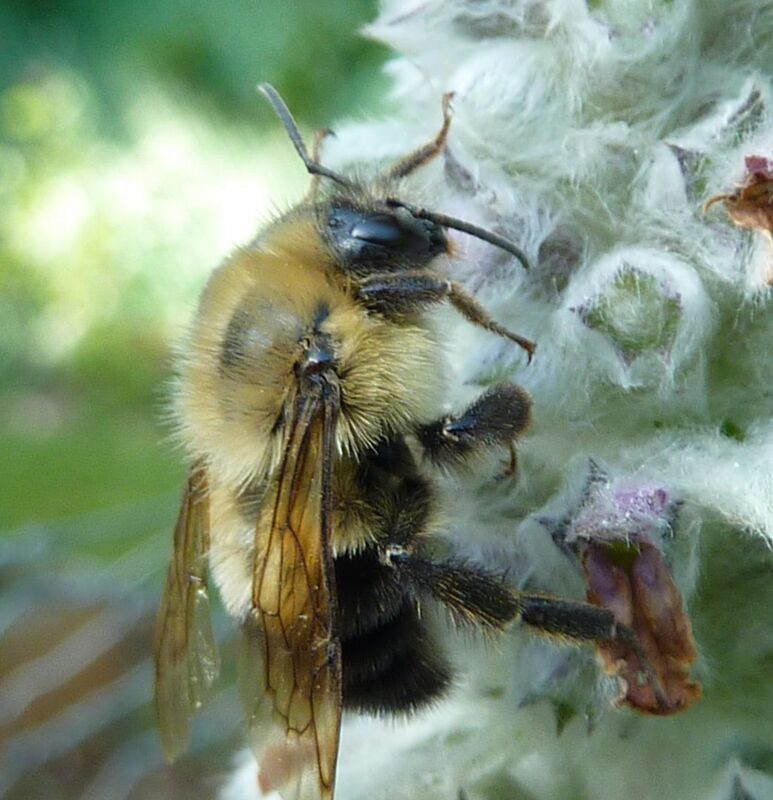 I spent a lot of Father's Day photographing this one bee on the lambs ear in my grandfather's garden. It was being unusually cooperative so I took as many pictures as I could, only to find out that it was in fact a male. 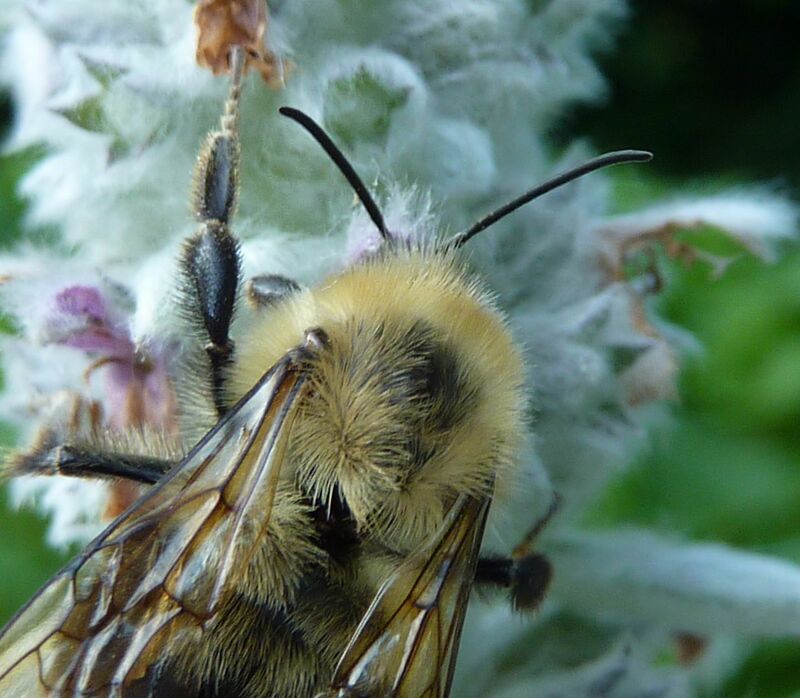 This is a male Bombus bimaculatus, and you can ID it as a male from the straighter than normal antenna, and yellow hairs under the body as well the scruff on the mandible area. Though I'm told that male bumblebees often look just like the females so don't go petting them all or grabbing them just yet. 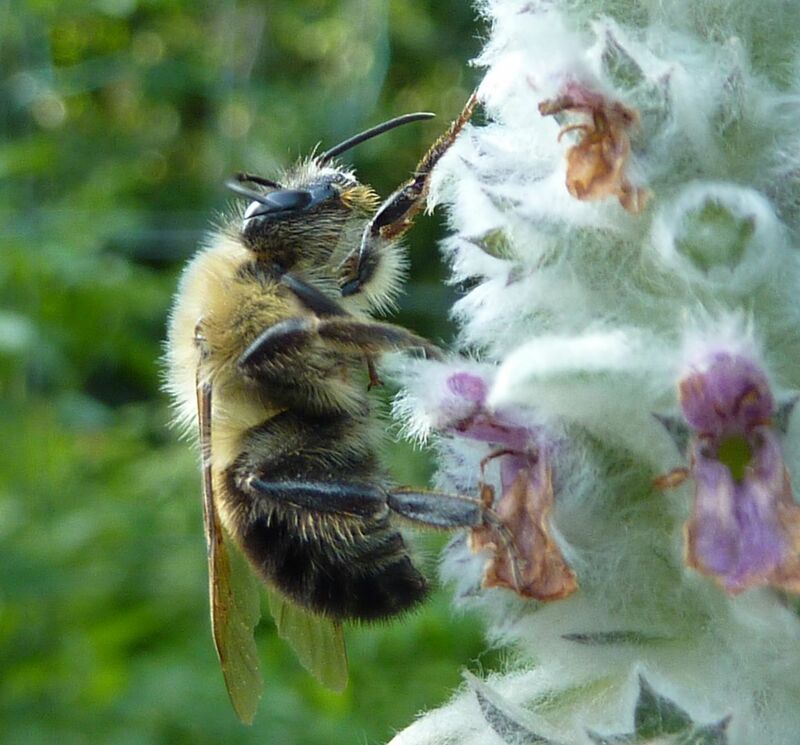 The Lambs Ear was otherwise swarming with bumblebees. This one male though was taking his time to rest about and sipping at flowers at his own leisure. As the sun went down he finally took off, probably to spend the night somewhere. Once they leave the hive they leave for good. 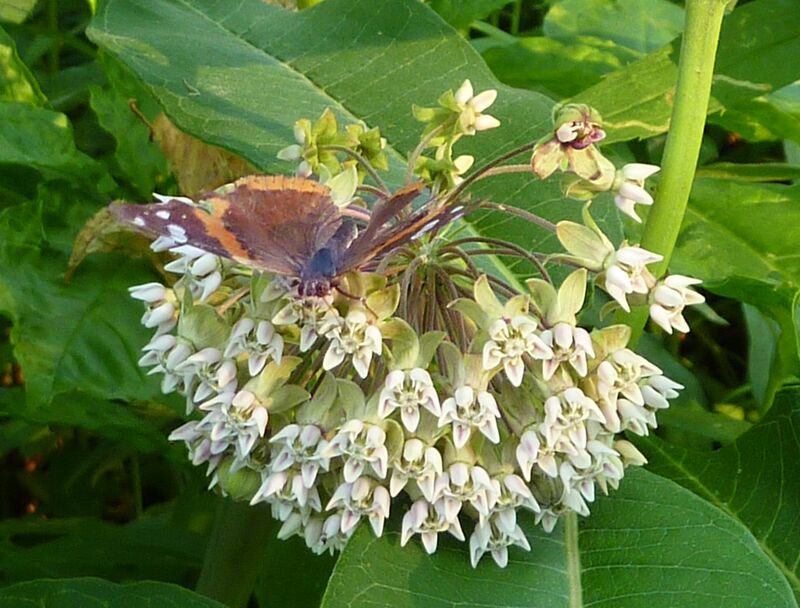 Rather than being a burden on the resources they go it alone and feed on flowers until new queens of their species emerge from hives to mate with. 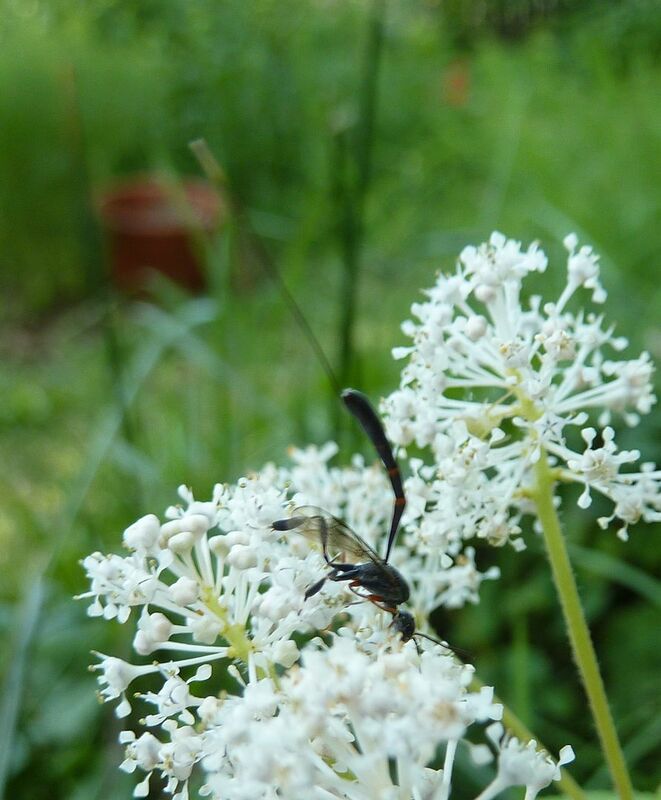 Wasps in the genus Gasteruption are social parasites other Hymenoptera. In this case that means Mason Bees. They inject their egg into the mason bee tunnel where larva of the host species are developing. 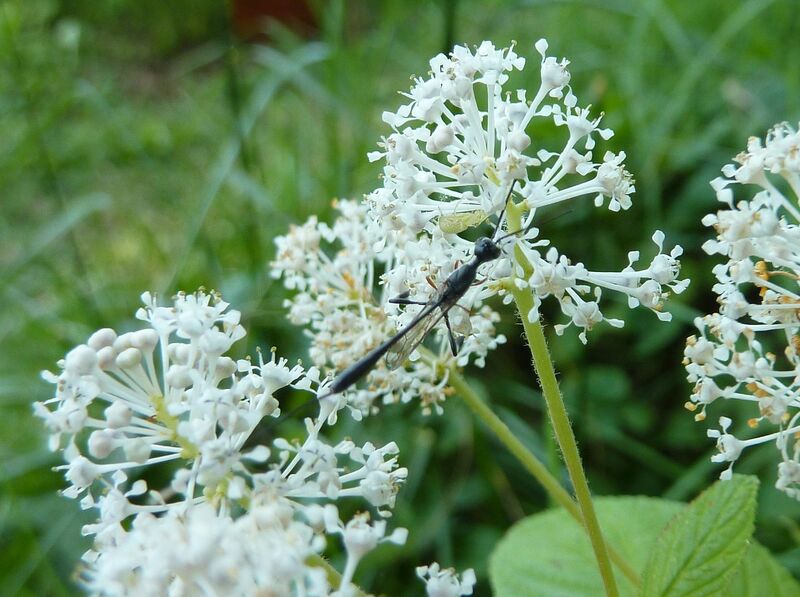 Next year, instead of hatching as a mason bee, a parasitic wasp will emerge. The fact that I'm seeing these in the garden should probably be a red flag to bring the mason bee nest blocks inside or at least screen them in somehow. 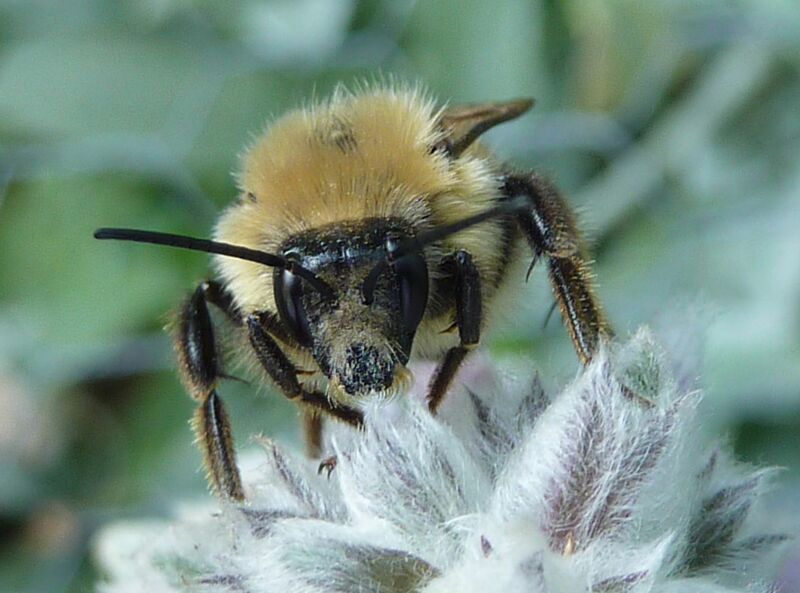 My mason bees are an invasive species though, Osmia taurus, so I'm not really inclined to do that. In the interest of diversity I think I'll let nature takes its course, assuming they are the host that is. I'm amazed at how pencil thin they are. 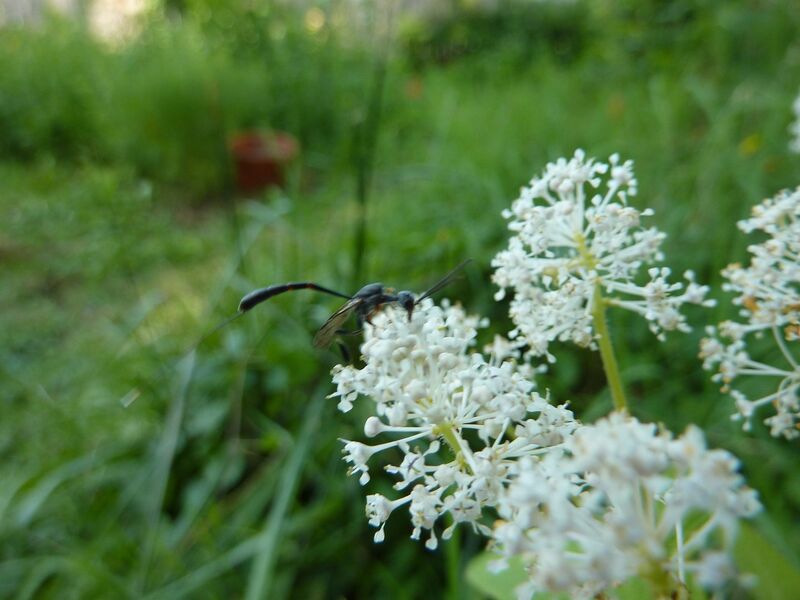 They even look tiny among the blooms of New Jersey Tea, Ceanothus americanus. Ohh Abbott Sphinx, Sphecodina abbottii. 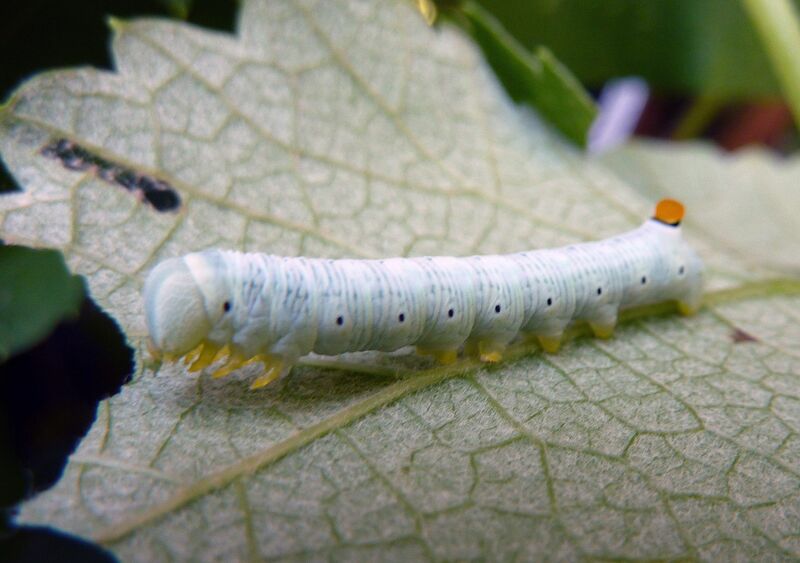 That's what was eating my concord grape vine. The skin eventually turns brown leaving large evenly spaced green spots all along its body. I suppose it's mimicking a snake that way. Since the day I took this photo I haven't been able to find it again so hopefully a bird didn't get it. 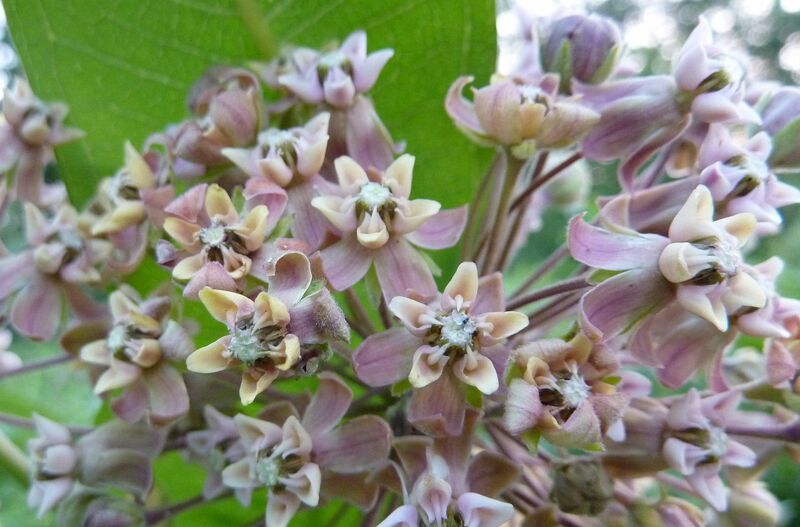 I've read they can be very uncommon in their range, but I know the forests here are all abundant with grape vines. I'd say most forests have a Vitis species in them it's just that they don't produce a lot of fruit unless you prune them severely each spring. 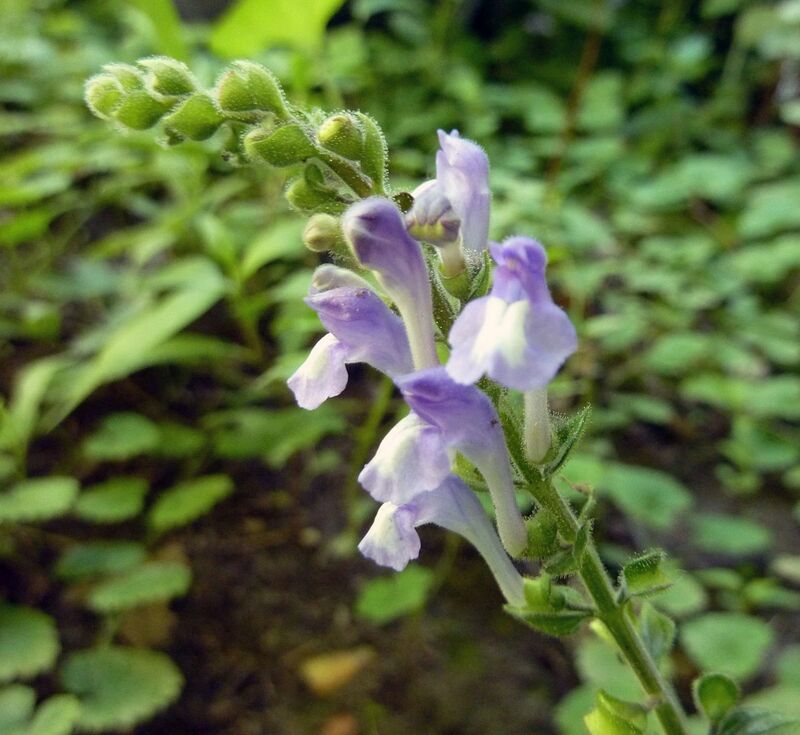 Heart-Leaf Skullcap, Scutellaria ovata, is a shade loving perennial that spreads by rhizomes. This is an odd combination. Shade plant and mint family don't really go together in my mind. Spreading by rhizomes is common in the mint family but because it's a shade plant I wonder if it will be as aggressive as its relatives. New Jersey Tea, Ceanothus americanus, is blooming. 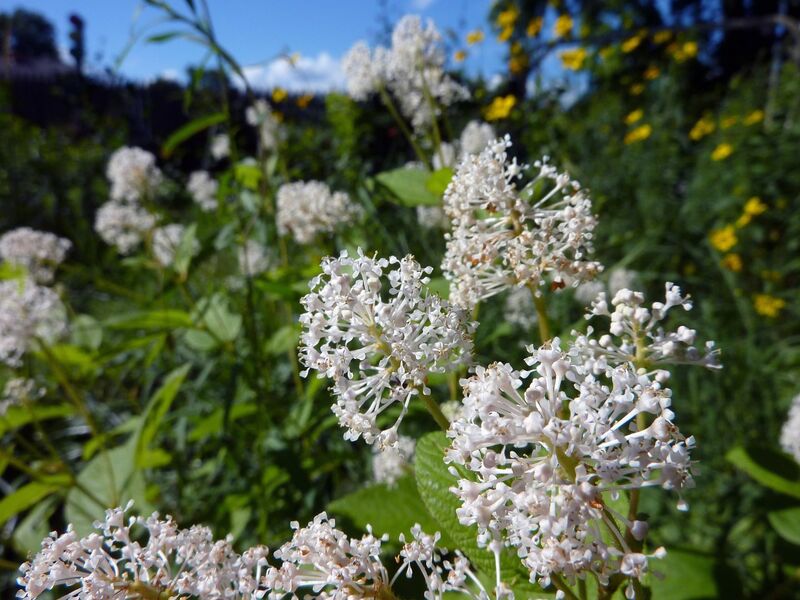 The leaves are a lighter green color that make it stand out, with the white clusters of flowers. I'm told this plant used to be extremely common but unfortunately it's one of those plants that is a sigh of ideal farming soil. 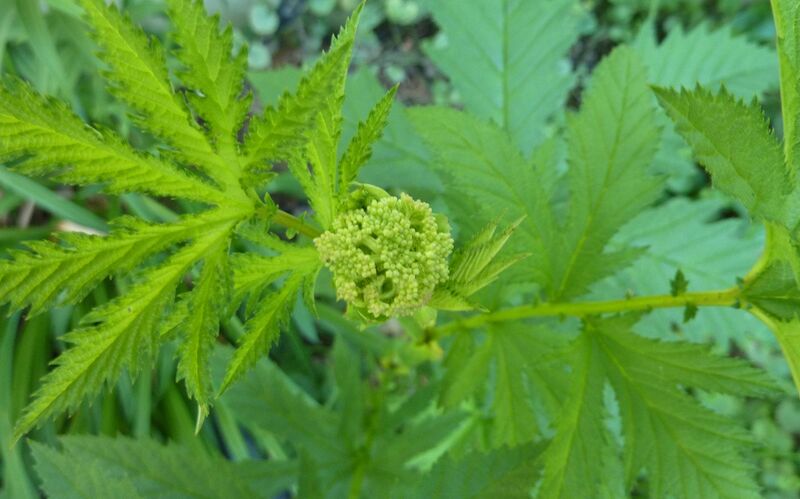 I've never seen it growing wild and I live in New Jersey. 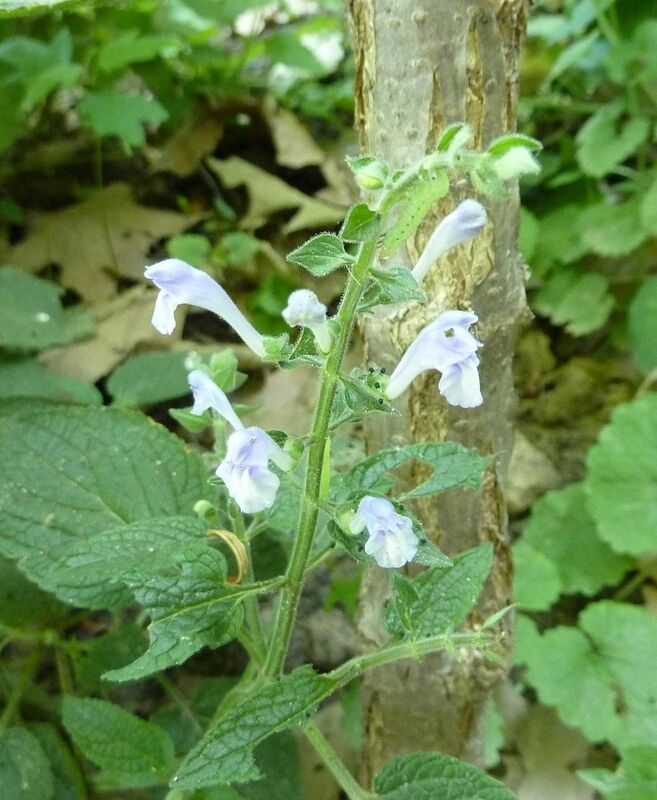 It's been in a steep decline though not enough to be threatened. Ceanothus is a very diverse genus, especially out west where they all have blue flowers, and grow to be much larger shrubs. This species only gets about 3' tall. 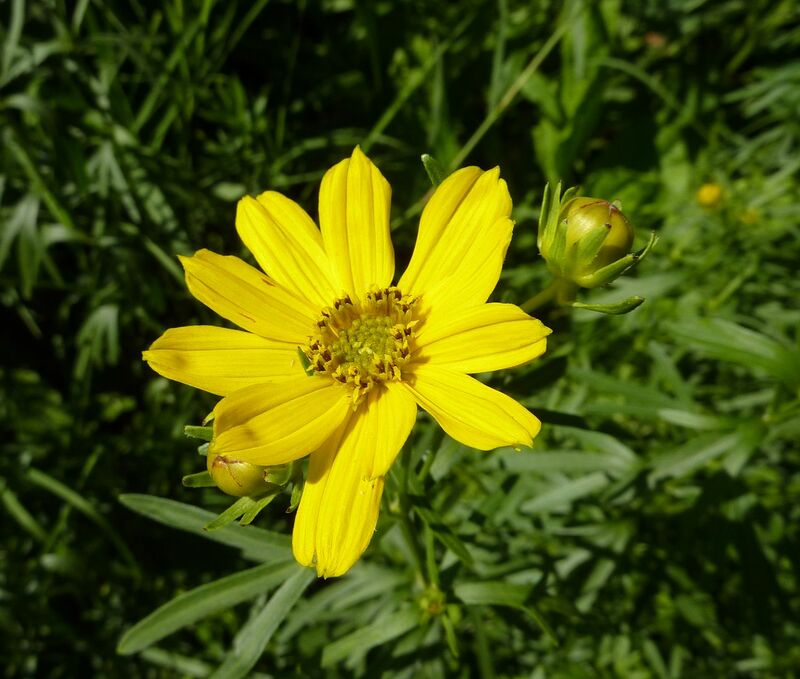 Coreopsis palmata, has just started too. It's one of the more aggressive spreading Coreopsis species. I planted maybe 7 of these last year as 4" plugs, and they're all coming up as though they were 3 gallon pots. Ozark Coneflower, Echinacea paradoxa, isn't native to New Jersey but neither are coneflowers. So I decided to go with an uncommon species and may add more later on. It's the only naturally occurring yellow flowering coneflower. 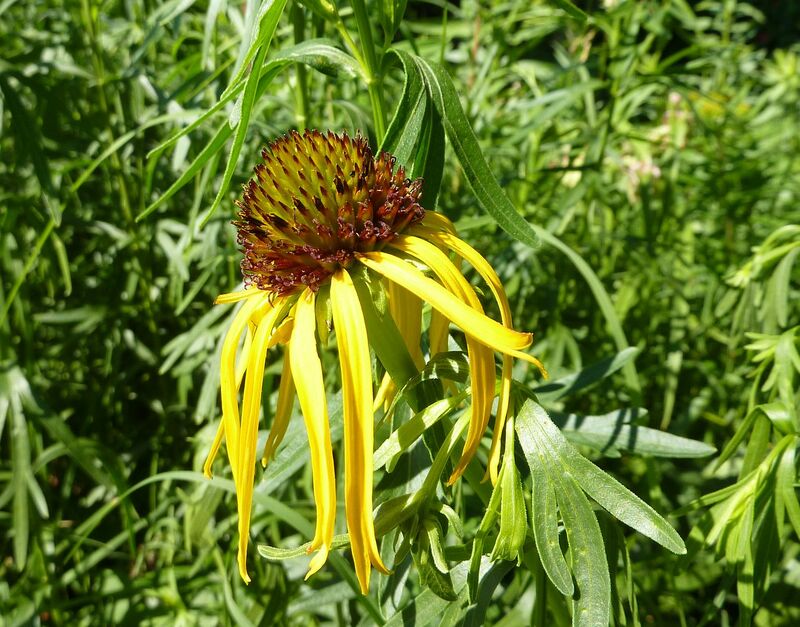 When you see yellow coneflowers at nurseries they're typically mutants, genetically altered to circumvent the terminator gene (Echinacea otherwise don't hybridize naturally). 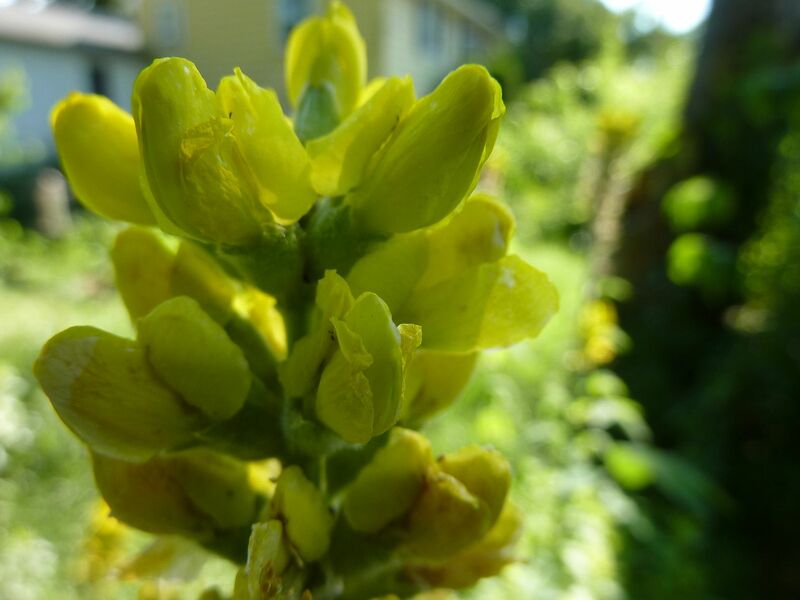 Blue-Ridge Buckbean, Thermopsis caroliniana. 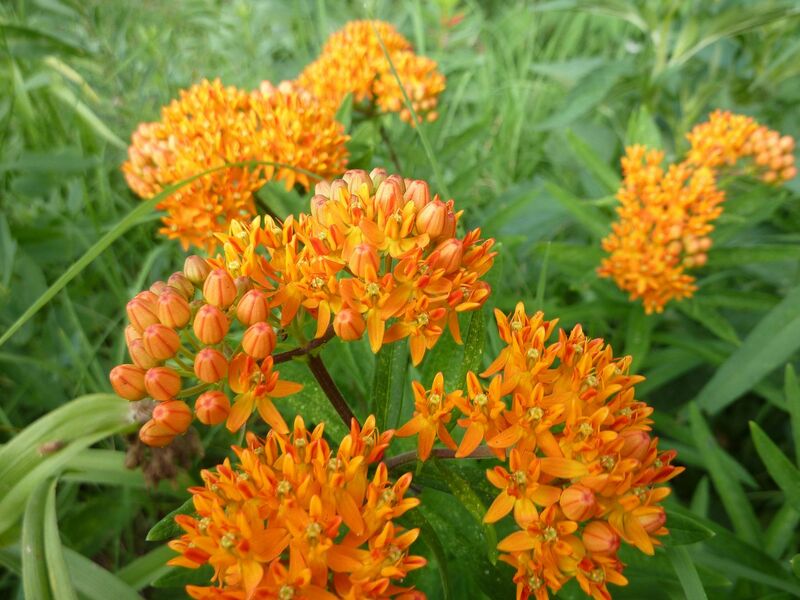 Despite tolerating more soil conditions than Lupins, this plant doesn't have as many populations scattered around the country. It's something of a mystery to me. They're known to colonize where they occur but they don't seem to spread at all. Soon to come, Queen of the Prairie.